Lucifer came for a potentate bold. Now you must render me your immortal soul”. you will find nothing inside. And vanished like the summer snow. and yearned to build utopia in green fields. And sacrificed the weak for the common good. My soul you had long ago. This entry was posted in books, creative writing, literature, newauthoronline, poems, poetry, uncategorised and tagged all power tends to corrupt, k morris poet, lord acton, lost in the labyrinth of my mind, Lucifer came, newauthoronline, poems, poetry, poets on July 6, 2018 by K Morris Poet. We just downloaded your book into a PDF Reader. What a lovely book. Thank you Kevin. I just wanted to tell you that I LOVE the piem, “ ‘Ere We Die.” It is just what we have been talking about. Your poetry is brilliant. I like it because it is not long and drawn out, and over wordy, but gives just something to think about. It is lovely. Thank you so much Kevin. My thanks to Lorraine for granting me permission to reproduce her comments verbatim. 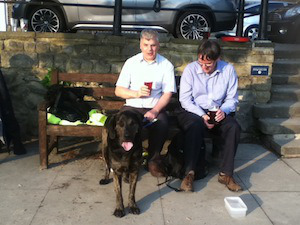 Lorraine blogs at BlindWilderness (https://blindwilderness.wordpress.com). 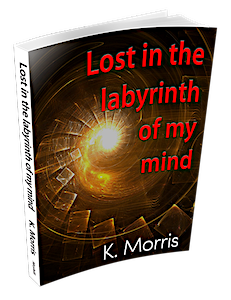 This entry was posted in books, creative writing, literature, newauthoronline, poems, poetry, uncategorised and tagged A reader writes, book reviews, k morris poet, lost in the labyrinth of my mind, newauthoronline, poems, poetry, poets on June 15, 2018 by K Morris Poet. Has Time Been Called For The Traditional Clock? I have long been a lover of the traditional and, in particular the chiming clock. 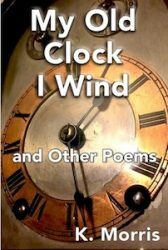 My love of clocks can be seen in a number of my poems, including “My Old Clock I Wind”, which can be found in “My Old Clock I Wind and Other Poems”. One derives a real sense of seconds passing (never to return) when listening to the ponderous tick tock of a traditional pendulum clock such as a Grandfather or Grandmother clock. As I put it in my poem “Time”, “the sickle chops and the heart will, one day, stop”. “Malcolm Trobe, deputy general secretary at the Association of School and College Leaders (ASCL), said youngsters have become accustomed to using digital devices. “They are used to seeing a digital representation of time on their phone, on their computer. Nearly everything they’ve got is digital so youngsters are just exposed to time being given digitally everywhere.” (See https://www.telegraph.co.uk/education/2018/04/24/schools-removing-analogue-clocks-exam-halls-teenagers-unable/). I remember the excitement, as a schoolboy when a large digital clock was installed in the newly constructed school building which formed a part of the Royal School for the Blind in Liverpool, (one of the schools I attended in that great city). While other children thought the device wonderful, I was left cold and would retreat to the traditional wall mounted (pendulum) clock in another (older) part of the same school. I can, of course see the advantages of digital devices. But, to me they lack (and always will lack) that elusive thing we call character. (You can find “My Old Clock I Wind and Other Poems” in the Amazon Kindle Store. “Time” can be found in my collection “Lost In The Labyrinth of My Mind”, which is also available in the Kindle store. 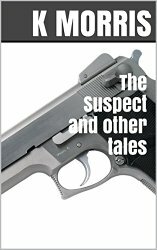 Links to all of my books can be found here, https://newauthoronline.com/about/). This entry was posted in books, creative writing, literature, newauthoronline, poems, poetry, uncategorised and tagged changing times, digital devices, Has time been called for the traditional clock, horology, k morris poet, lost in the labyrinth of my mind, My old clock I wind and other poems, newauthoronline, pendulum clocks, poetry on April 26, 2018 by K Morris Poet. Below is a recording of me reading my poem “The Path Through The Woods”. “The Path Through The Woods” was inspired by the many walks I have taken, in company with my guide dogs, through the woods which form part of The Lawns, parkland situated in the Upper Norwood area of south-east London http://www.parksandgardens.org/places-and-people/site/8113?preview=1. “The Path Through The Woods” can be found in “Lost In The Labyrinth Of My Mind” which is available from Amazon and can be found here https://www.amazon.com/dp/B01AF5EPVY (US), and here https://www.amazon.co.uk/dp/B01AF5EPVY (UK). 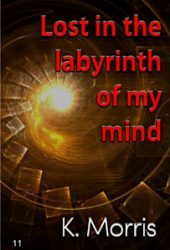 You can also find “Lost” on Goodreads https://www.goodreads.com/book/show/28513305-lost-in-the-labyrinth-of-my-mind. This entry was posted in books, creative writing, literature, newauthoronline, poetry, uncategorised and tagged I must return to this rented land, k morris poet, lost in the labyrinth of my mind, newauthoronline, poems, poetry, poets reading their work, spa hill, the lawns upper norwood, youtube on February 11, 2018 by K Morris Poet. As far back as I can remember, I have had a fascination with time. The hypnotic swing of the pendulum on an old-fashioned clock and the steady tick tock of the mechanism, entrances me. “Time” can be found in “Lost In The Labyrinth Of My Mind” http://moyhill.com/lost/. 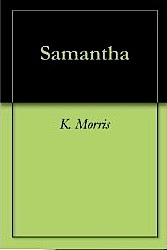 This entry was posted in books, creative writing, literature, newauthoronline, poetry, uncategorised and tagged clocks, horology, k morris poet, lost in the labyrinth of my mind, newauthoronline, poems, poetry, poets, Time and tide wait for no man on January 29, 2018 by K Morris Poet.